Studies indicate that if you are not breaking out beyond your comfort zone, your brain is not learning. When your brain, your soul and your spirit break through the routine and the comfort zone, you are definitely being challenged to grow. Routine and stability blocks your learning. Routine and stability are useful for daily responsibilities, but can block us from what can take us to a higher personal and spiritual level. Forbes writes: A person’s “comfort zone” is called that for a reason: It’s comfortable and safe. However, your comfort zone can also be a place of stagnation — one that keeps you from seizing opportunities for growth, just because it involves something unfamiliar… Stepping out of our comfort zone can be difficult if we do not build a compelling reason to do so. Take the time to think about what it could be like to take that step. Marinate in that visual, idea or thought long enough to build solid momentum that propels you into inspired action…It’s natural for our minds to resist change. Thinking about taking the tiniest step tricks your brain into taking action. Take a goal and break it down into small steps. Focus on one step at a time. This approach will boost your confidence, associate a positive outcome with your goal and motivate you to stick with pursuing it to ultimately achieve the result you desire (April 17, 2018). As Christians, breaking out of the comfort zone should be a lifestyle. Being a genuine Christian means breaking through the barriers of comfort and fear every day to make a difference in our world. It means we cannot allow ourselves to be stagnant, inactive and indifferent. The whole idea of Christianity is action, daily and positive action to make a difference in our world. Share Jesus with others. Be an example in cheerfulness and service. Invite people over for coffee and really pay attention to them. Donate time, resources and talents to the local church or local charities. Change your routine to include things you have never done before. Write an article for a blog, start a website that shares your talents to the world. Read books that inspire you to grow. Study something that will help you improve your skills. Meet with people different than you. Say hi to people you meet on the street with a big smile. Thank those who wait on you in the stores. Listen more. Learn a language. Take a missionary trip. Plant trees. Support your missionaries and write them an encouraging note as often as possible. Open your heart to the whole world. When your pastor asks for help, jump in! Visit those who are sick, alone, and hurting. Can you think of other challenges out of your comfort zone? “A ship in a harbor is safe, but that’s not what a ship is built for,” is an anonymous quote. Try a small risk. Move away from your habitual routines. Remember: Science says that stability and routine don’t teach you much. You need to grow to face your fears and grow in courage. And you will definitely learn a lot about yourself and rely even more on the Holy Spirit. Isaiah 43:19 (KJ21) says: “Behold, I will do a new thing; now it shall spring forth; shall ye not know it? I will even make a way in the wilderness and rivers in the desert.” Even if you are already making a difference, why not make an ever bigger difference? New things are coming your way! There is something awesome that God has ahead for you. He will walk this path with you. 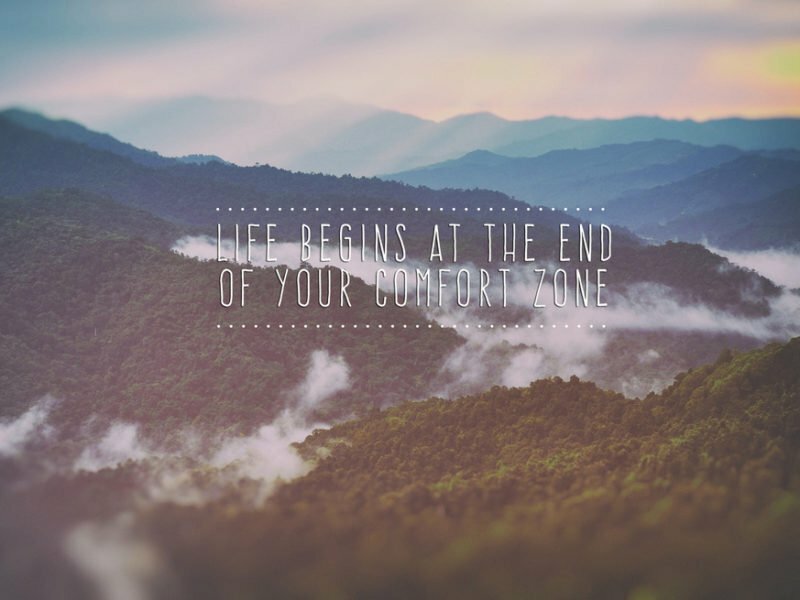 So… pack your bags and begin to break out of your comfort zone. An adventure is waiting for you! This article was written by Evelyn Saint Jiménez. The views and opinions expressed here are those of the author and not necessarily the opinions of GOD TV. For more from Evelyn Saint Jiménez, visit her blog HERE.